There are around 10MB to 20MB per page, each page around 2400 x 3500px on my monitor they are reduced to 25%, so I think that is what they will be released as. I was trying compression, but I can tell at even 1% it messes up some quality. Will try and get them all as small as possible without loosing any quality, its gonna take several dvds otherwise. Do you use Gimp? There is a good method in the Gimp program called "threshold", if your scans are black and white only, then adjust the threshold to about 95 or so can drastically reduce the MBs of the image. I think it is at Colors->Threshold in the menu. I thought AC was black and white but I could be wrong. After adjusting the threshold, you may need to soften the image back up. I use Filter->Blur->Blur from the menu and it does pretty good. We are going though all the scans currently, There are a few pages each issue that curled up on the edges so went a bit out of focus, so those are being re-scanned at the moment. Theres like 2,000 pages in total so it will take some time to double check them all and do re-scans. Some did not scan totally level, so those are being edited or re-scanned also. A lot of problems are around pages 30-40 as the center folds prevent a good scan of the page, so that's slowing things down a bit too. Overall the AC and AW mags are all scanned, its just making sure they are all as good as they can be. No point in rushing though it all. I tried a A3 scanner, though the quality was rather drab. I will upload the first couple of issues probably in about a weeks time. It takes a full day at least to scan and edit a whole issue, so its not a quick thing to get done. Though it will be ongoing until they are all double checked . I have no idea who I talked too, it was a year ago maybe more. All the scans were done months ago, but as I couldn't find hosting I never finished checking all the scans. The scans overall are going to take a fair few GB. Though I will probably just host a lower res version myself or on torrents, and just produce DVDs full of the higher res scans for those who want them. The scans show at 25% size on my monitor, so even 75% reduction isn't too bad. I do plan on also going though each page and editing out "old age" or " a bit tatty" problems. These are mags which are a few years old, but they are not "off the shelf new" so I think some editing here and there can make them as new again. Though it will take even more time to edit them, so its likely those ones will become "beerware" dvd editions probably available next year sometime. Liking the smelling pistake on the cover: The 'defintive' guide? Can you can send me a few raw pages? I can run them through Gimp and see if the sizes can be reduced. I have not tried "gimp" though only the resolution can be reduced, even if you convert them to jpg with 1% compression, I can tell a lot of loss on quality, they are all in png format at the moment. Lossless compression and simple resolution reduction is the only way to go. I will upload some pages tomorrow if you want to try, though its just going to be a resolution reduction as compression in pdf I doubt will be lossless anyway. Something will have to be lost somewhere to get the sizes down, a small amount of compression and lower res will probably have to be done. Last edited by exxos on Sun Jul 21, 2013 9:06 pm, edited 1 time in total. Mug UK wrote: Liking the smelling pistake on the cover: The 'defintive' guide? exxos wrote: I have not tried "gimp" though only the resolution can be reduced, even if you convert them to jpg with 1% compression, I can tell a lot of loss on quality, they are all in png format at the moment. Lossless compression and simple resolution reduction is the only way to go. I will upload some pages tomorrow if you want to try, though its just going to be a resolution reduction as compression in pdf I doubt will be lossless anyway. Something will have to be lost somewhere to get the sizes down, a small amount of compression and lower res will probably have to be done. Ok, thanks for putting up some pages; that will be great. Concerning ST Fun only for the time being, what happened to the reference made to it on this thread (I can't find it) and does anyone have any scans of any of the issues or even general information about it at all? What with "Fun" being such a general word to search for alongside "Atari", "ST", "magazine" etc. I can't find a single thing about ST Fun so any info would be much appreciated. Cheers. Want to preserve all those old floppy disks? Then head on over to P. Putnik's Floppy Image page! I saw that auction too. Was wondering why I never saw it before. Another magazine I had never heard of until recently is "ST Source". TheNameOfTheGame wrote: Another magazine I had never heard of until recently is "ST Source". I swear, there are so many! A preservation project couldn't be more important. No idea where to post this, so I'll necromance this old thread. They've got tons of Atari ST related magazines. This is just what I could find with one quick glance. There is way more on this site for sure. Though I guess, you have accomplished much higher resolution scans than they did and no idea how complete their collections are. Btw: They are always interested in retro stuff they don't have yet. Maybe they are also interested in your scans. Do you still have them? How much do you want for each magazine? I've seen that before. I'll check my remaining ST Formats for sale tomorrow for you. Did you work on the ad or something? TheNameOfTheGame wrote: Did you work on the ad or something? I presume you meant to address that question to badflame. I'm far too young! Oops yes, meant to address that to badflame. Both adverts are very interesting for me. But I need scans at 600 dpi of both. The first is included, as you say, in ST Format - issue 11 (June 1990) and the second (the most urgent) in STampede issue 5 (September 1990). If someone have these magazines or any other with these adverts, please, tell me. I'm willing to pay for them or an scan of quality at 600 dpi. 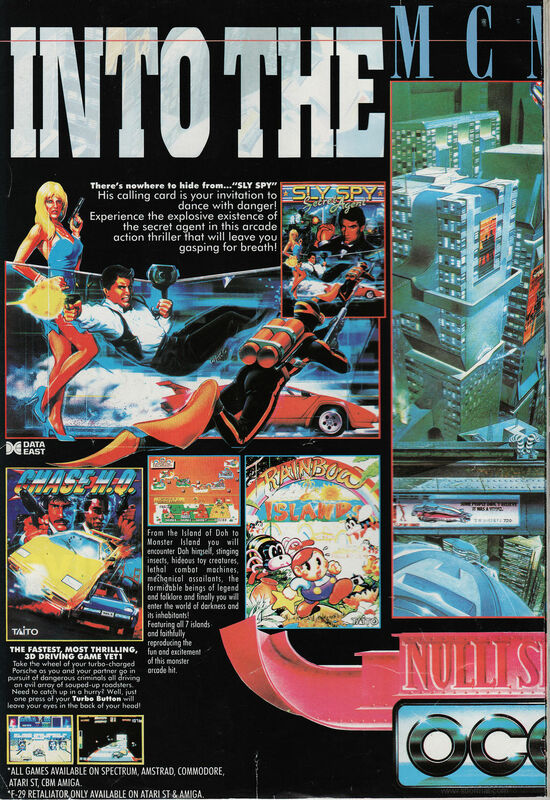 Not, I'm collaborating with the creator of the original illustration, Bob Wakelin, restoring his lost artworks using old advertising. 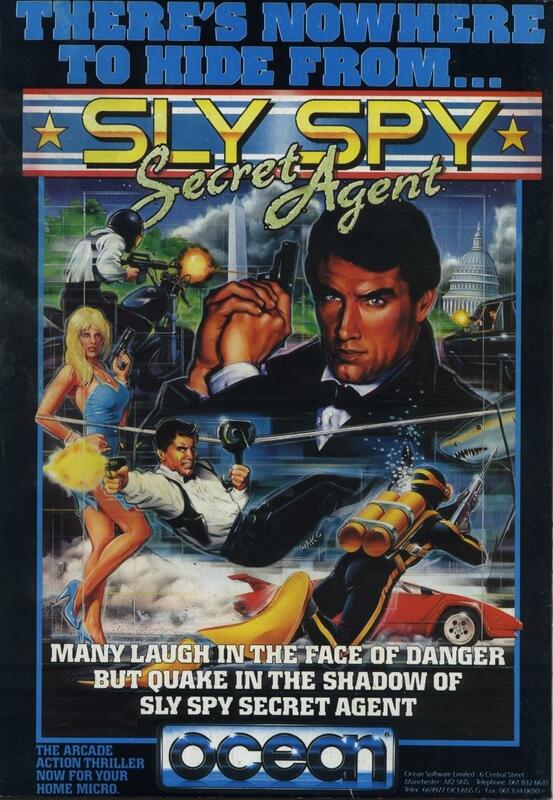 Anyone who collaborates with me contributing scans, will be recognized faced the own Bob Wakelin. Some fantastic work there; both old and new! While it's a shame the originals are lost (I guess artists never think commercial work will amount to much in the future?) you wouldn't know to see such spectacular restorations. 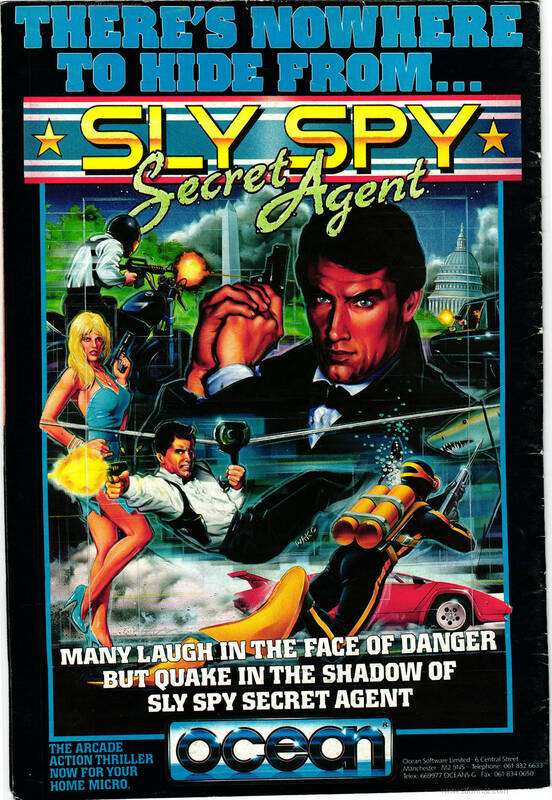 About the Sly Spy one- it might still be worth getting in touch with the other sources I mentioned. Mr Ward doesn't say where he got his scan from and you'll have to brush up on your French if you message that CPC site.